Earlier on I reported the match being made official between Saiyok Pumpanmuang and Abdallah Mabel of St.Fons France. The match is made for Saiyok to defend his Lumpinee stadium title but not in the famed Lumpinee stadium of Thailand but instead in Paris, France. Though it is not new for stadium titles to be contested outside of Thailand, this will mark the first time Lumpinee’s famed championship will be decided outside of Thailand. 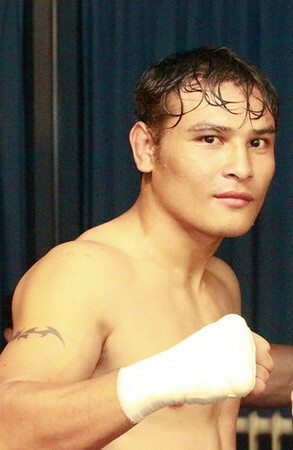 Saiyok easily outpointed Antuan Siangboxing at the Queen’s Birthday for a landslide victory. Saiyok originally won his Lumpinee title by defeating Singsiri Por Siricha via 2nd round knockout. 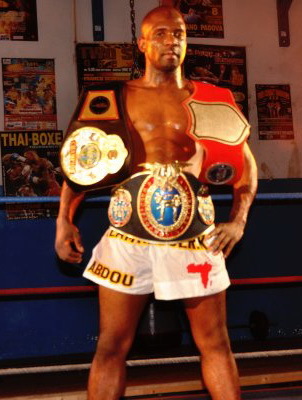 Abdallah Mabel should prove to be strong competition as a 4 time world champion in Muay Thai. ~ by fatsoking on October 28, 2010.
those french fucks really named their gym “cobra thai”???? saiyok better not lose this. especially in france. never seen his opponents fights.